What is skin bleaching? This is a common question in the realm of getting fairer skin. 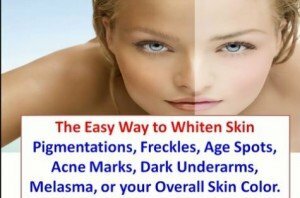 This provides for a wide topic of discussion including available bleaching methods and treatments, the best, permanent and professional skin bleaching as well as skin bleaching before and after results. Skin bleaching is a controversial subject which tends to raise a lot of identity and health concerns. It involves the use of chemical substances to lighten up the skin tone as well as bring out a uniform and even skin tone. The risks involved in the process are concerning. Some of the chemicals used to achieve this are toxic and could have cause both long term and short term negative effects on the skin. Whether bleaching is permanent or not depends on how it is done. Most over the counter products only provide temporary results. One will be required to carry out maintenance procedures to maintain the acquired skin tone. For skin bleaching to be permanent, it has to be done through a medical procedure. This though is preserved for certain patients such as those suffering from vitiligo. The process involves reducing the amount of melanin present on the skin by bleaching it away. This though is not available for cosmetic purposes since melanin is the main source of skin protection against skin cancer. Skin lightening for cosmetic purposes is however readily available. MitracarpusScaber Extract: The leaves of this topical tree give a botanical lightening agent. It works like hydroquinone by preventing production of tyrosinase. It contains active ingredients such as those contained in hydroquinone but is less irritating than hydroquinone. Beta Carotene: This offers photo-protection to the skin and reduces formation of pigment by blocking tyrosinase receptors. This way, the melanocytes are prevented from forming melanin. Licorice Extract: This is also used in a number of bleaching treatments. It is non toxic and will prevent permanent discoloration. It also has anti-inflammatory properties. Paper Mulberry: This is another botanical extract that effectively inhibits the functioning of tyrosinase and which is common in skin bleaching products. Kojic acid: When used for a reasonable amount of time, melanocytes exposed to it lose their ability to manufacture or pass on any residual pigment. Tretinoin and Retinol: These help in increasing cell turnover. As a result, the exfoliation process is fast and eliminates melanin that is normally pooled in the epidermis. They are only available on prescription. Glycolic acid: This expedites cellular exfoliation as well. 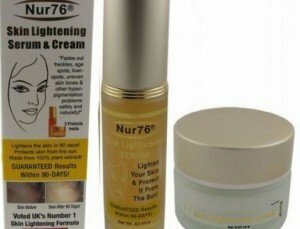 It is common to have it incorporated in skin lightening products. The only skin bleaching ingredient approved by the American Food and Drug Administration is hydroquinone. As a result, all other products with an ability to make the skin tone look fairer are expected to be referred to as lightening or whitening products. Hydroquinone works by reacting with tyrosinase, the melanin forming enzyme. Despite its effectiveness in bleaching, it has been banned in countries such as France, South Africa as well as in Europe. This is due to the fact that it is claimed to cause ochronosis and skin cancer. Products containing hydroquinone should only have it in a concentration of up to two percent in over the counter products and up to four percent in prescription bleaching products. Anything more than this is hazardous. It should never be used by people with kidney disease, liver disease or pregnant women. 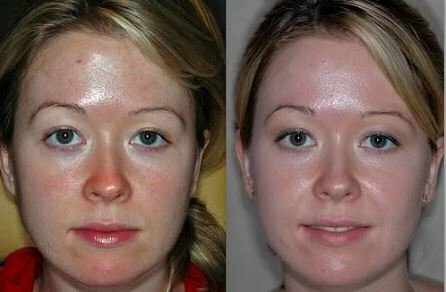 Hydroquinone should be used only on areas that one needs lightening up. During the duration of treatment, one should avoid direct sunlight and wear sunscreen when venturing out. If results are not seen within four to six months of use, usage should be discontinued. Most products marketed as permanent skin bleaching agents rarely have the ability to give permanent results. In case one wants the lightened skin to remain, maintenance treatments would be necessary. Without these, the lightening will not have any long term effects and skin will grow dark with time. There is only one known form of treatment that yields permanent results. The use of products containing monobenzone such as Benoquin will bleach the skin forever since it permanently de-pigments the skin to create a uniform appearance. This is only allowed for use in treatment of vitiligo. It should not be used to treat other hyperpigmentation problems or for general skin lightening. When done in the right way, bleaching could yield a great looking and even skin tone. 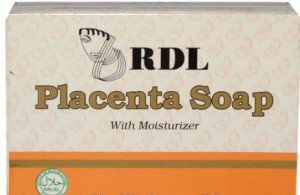 This may help to get rid of any skin issues that may have been pulling one down. For long lasting results, one ought to carry out maintenance after treatment. This will ensure that the results stay long. One important aspect of maintenance is the use of sunscreen. On the other hand, skin bleaching before and after results may be devastating. This is more so when the process is done with the wrong products. To avoid this, it is always advisable to undertake the process under the guidance of a specialist. Where some negative side effects are experienced after use, contact a dermatologist immediately. To avoid these and other risks not listed, it is important to make use of professional skin bleaching. Any medically approved skin bleaching products are not dangerous. Creams bought over the counter may not be approved despite their claiming to be. They could thus be harmful. However, your dermatologist would be in a position to prescribe some that are safe for use. While this may be cost a little more, it is the best way to safeguard the health of your skin. Swelling and thinning of the skin. Severe skin burns ad irritation.